Made with rich beauty ingredients and sea minerals to deliver a moisturized and healthy glow to your skin instantly. 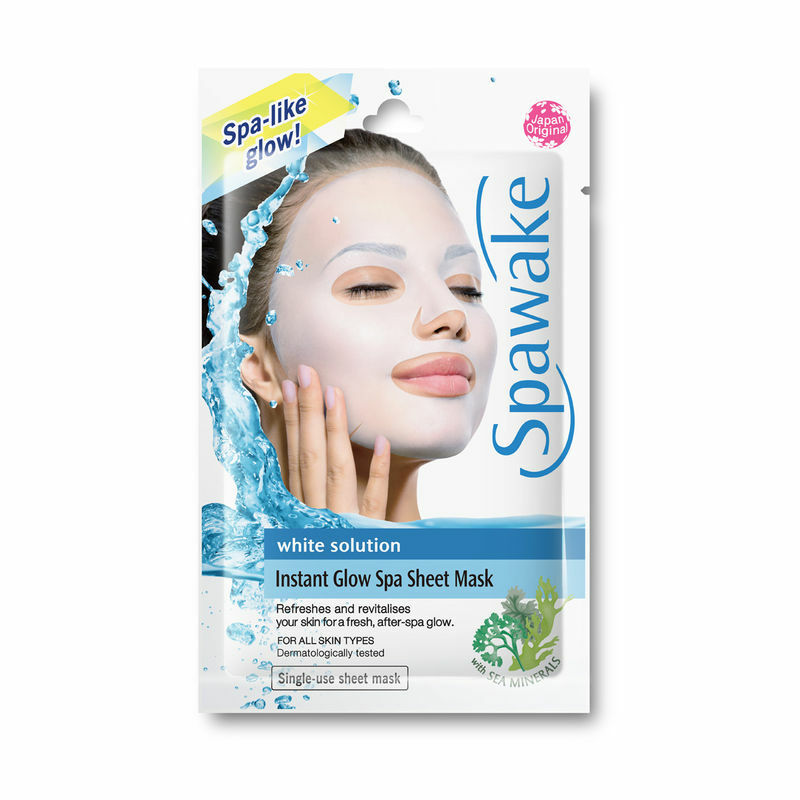 With a sealing effect, Spawake White Solution Instant Glow Spa Sheet Mask lets the skin absorb moisture in your skin with plenty of beauty actives and leads to one-tone brighter skin with just one time use. Apart from the richness of the moisture ingredients, the product can be treated as a facial purpose before getting ready for any parties or events. This is the uniqueness of the product and that's what it brings - "10 minutes Instant Glow Miracle"
Explore the entire range of sheet-masks available on Nykaa.Shop more Spawake products here. Explore the entire range of Sheet Masks available on Nykaa. 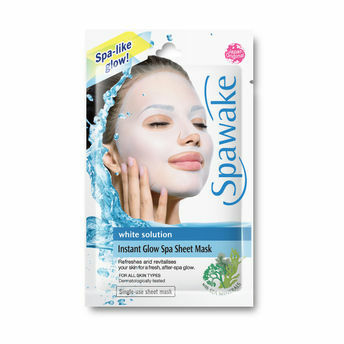 Shop more Spawake products here.You can browse through the complete world of Spawake Sheet Masks .